Disclaimer: : I am part of the Mom It Forward blogger network. 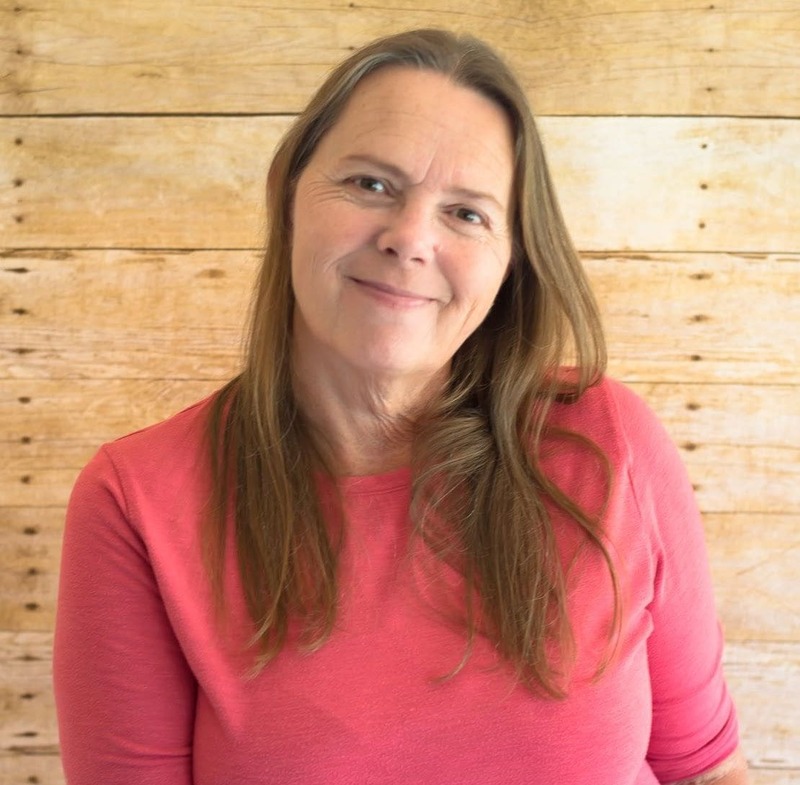 Mom It Forward and Gallo Family Vineyards partnered in support of this campaign. Gallo Family Vineyards compensated me for participation in this campaign. However, all thoughts and opinions are my own. 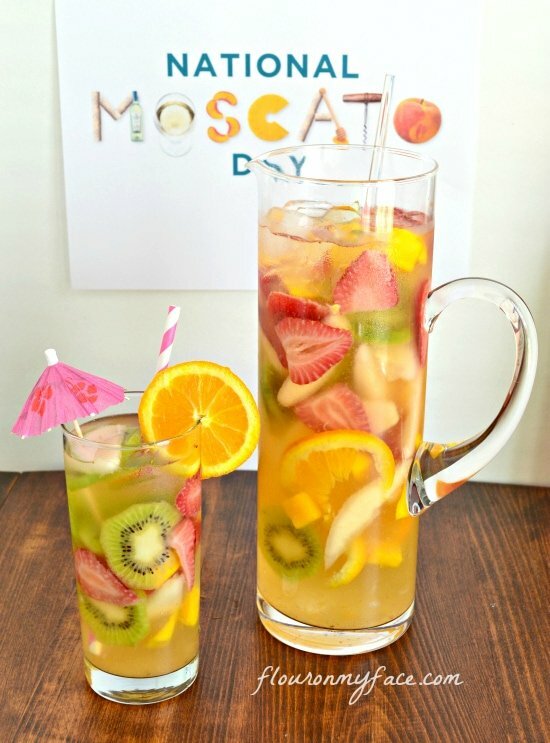 I am in love with this White Moscato Sangria Recipe! I am a relative newbie when it comes to the world of wine. It’s only been in the last couple of years that I have started sampling some of the many types of wines available. 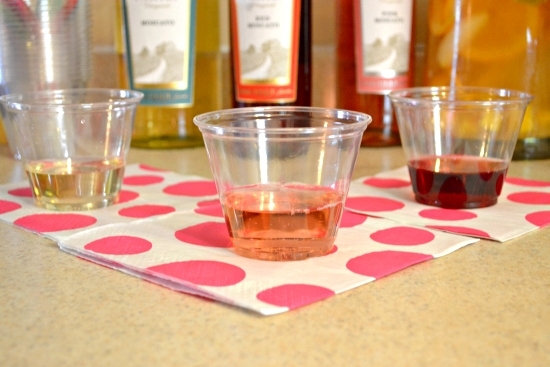 So I was very excited to have the opportunity to review the Gallo Moscato line. It has also given me the chance to experiment with Sangria recipes. 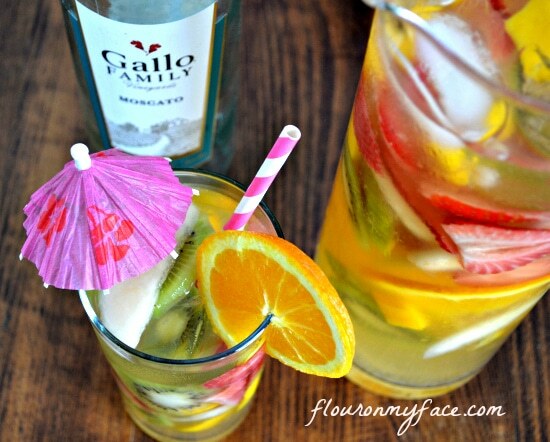 So far my favorite sangria recipe has been this Gallo White Moscato Sangria. The Gallo Family Vineyards have been making wine since 1933. They are committed to and pride themselves on bringing great tasting and affordable wines to everyone. For the third year in a row Moscato has remained the fastest growing wine varietal in the United States. I have never been one of those people who can drink any type of beverage, alcoholic or non-alcoholic alike that if I did not like the flavor of it at my first sip. I think that is why I never was much of a wine drinker. My first experience drinking a glass of wine was in an Italian restaurant with a meal. It, of course, was a glass of red wine. I can’t say what type of wine it was because it was so long ago but what I remember was that I did not like it. That experience turned me off of red wine until I tried the Gallo Red Moscato I was sent to sample. Of the three wines I sampled it was the boldest in flavor but the fruity berry notes came through without the sharp acidic flavor I remember from my first glass of red wine so long ago. I have tried other white and pink wines in the past. They have a delicate fruity flavor. I knew I would like the Gallo White and Pink Moscato. I was pleasantly surprised to find out that I also like the Gallo Red Moscato. All three wines have a wonderful sweet fruity flavor and I enjoyed all three. Of the three I will have to say the white moscato was my favorite. My daughter was having a get together with some of her friends over the weekend so I had the perfect opportunity to get some more experienced wine drinkers opinions on the Gallo Moscato wines. I took the Gallo wine over to her house along with a big pitcher of a White Sangria I made using the Gallo White Moscato wine. Sangria is also a new drink for me. I couldn’t pass up this chance to make a White Wine Sangria with the Gallo White Moscato. I have to tell you the Sangria turned out so good. 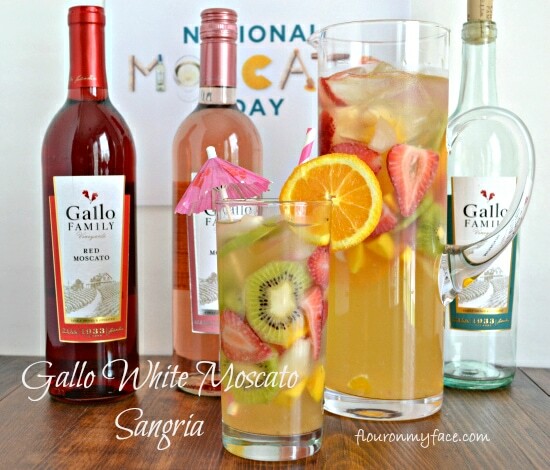 The Gallo White Moscato was a great choice for the sangria recipe. One of my daughters guests was raving about how my sangria recipe was better than one she drinks all the time when she goes out to one of the local restaurants here. 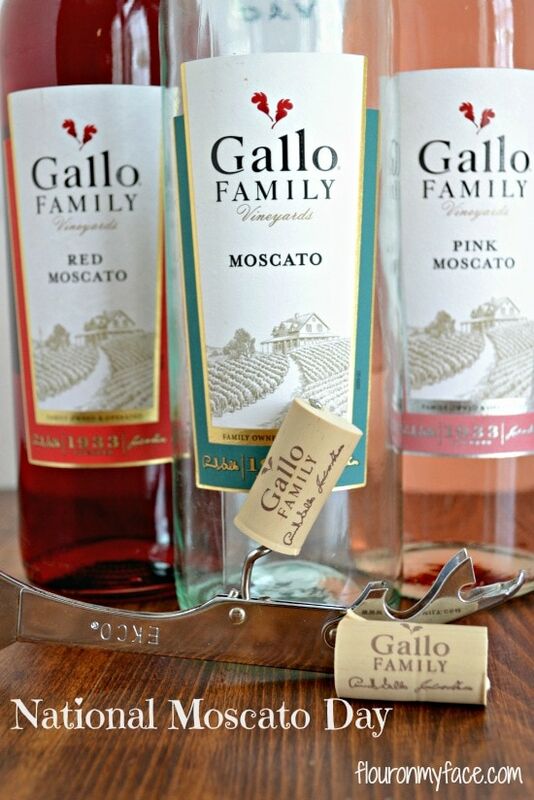 Everyone including myself loved all three of the Gallo Moscato Wines. A few of the guests including my daughter couldn’t wait to try the Gallo Red Moscato because they also had never tried a red Moscato wine before. They agree with me that the Gallo Red Moscato tasted great compared to any other red wine they had tasted. The Gallo White Moscato Sangria was a huge hit. Gallo declared May 9th National Moscato Day. To celebrate Gallo would love for you pour a glass of a Gallo Moscato wine and celebrate National Moscato day or any day for that matter. To find out more about the Gallo Vineyards you can check out their website. 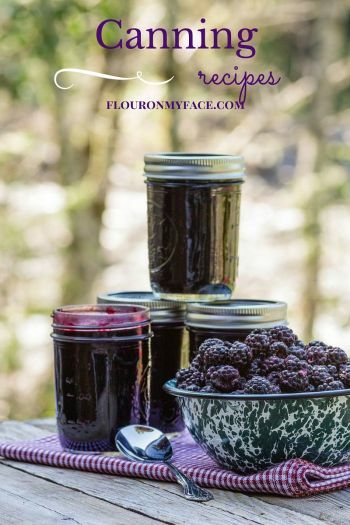 Slice all the fruit into a tall pitcher. Pour wine over the fruit. Right before serving add a cup of ice to the pitcher and stir. Serve in a tall glass with a orange slice or strawberry as garnish. Disclosure: Product links included are affiliate links. If you should make a purchase based on my recommendation I will earn a small commission at no added cost to you. Libbey 7 Piece Sangria Set is perfect for your Sangria making. The Sangria would be great poolside. I hope it warms up for you soon. The weather has been crazy this year. Pinning & Stopping by from I Should Be Mopping The Floor, have a great week!! 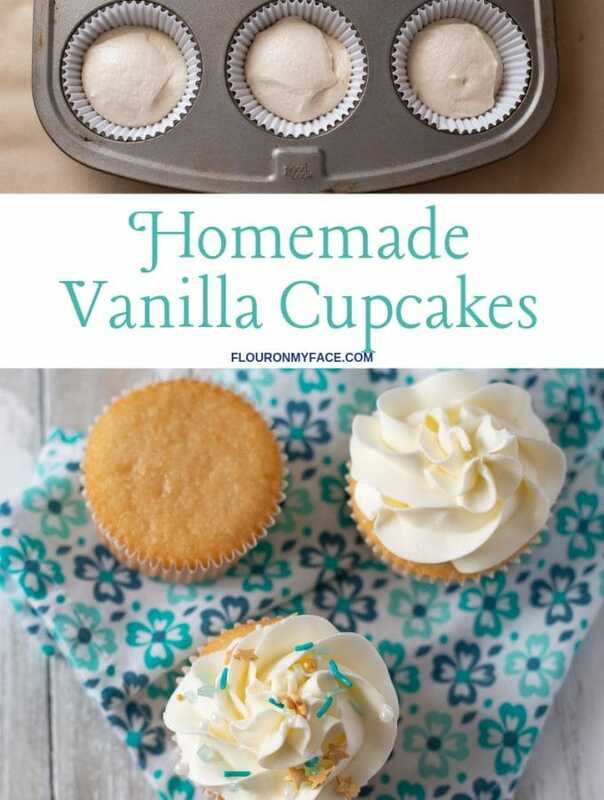 Thanks for stopping by and the Pinterest love. This is the best sangria recipe I have ever tasted. 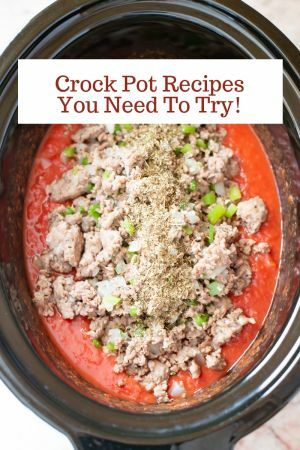 I hope you get a chance to try the recipe! LOVE this. I’m a huge fan of moscato – will definitely be trying this . You had me at Moscato! I usually add a little champagne/soda water to my sangria, so using Moscato is GENIUS! I like Moscato d’asti because it has a little bit of bubbles in it. Thanks for the inspiration! Thank you for hosting a great linky! Does the Mascato wine come in boxes? I can’t wait for summer to be able to sip on a fruity Sangria again! 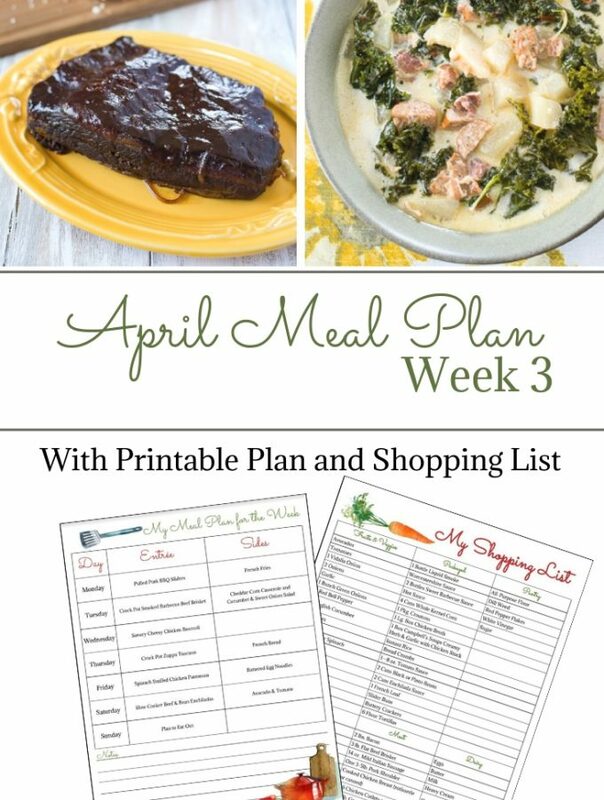 Yum…will give it a try! Thank you for sharing. Gorgeous picture! I want to reach right through the computer and take a drink. 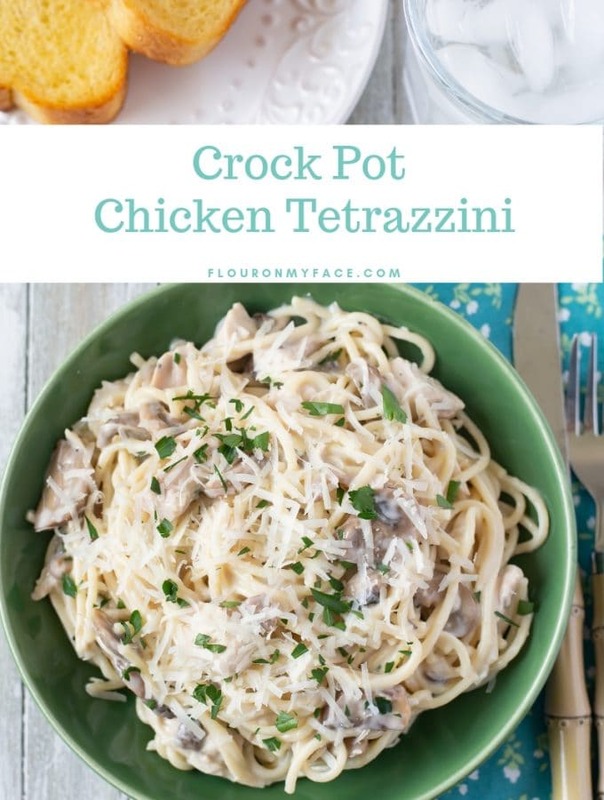 Thank you for linking up with me for #PinterestFoodie Tuesday.